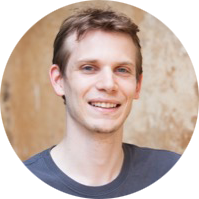 I&apos;m Florian Brönnimann, also known as Brunni and I&apos;m a software engineer. You might have stumbled upon me on a development forum such as yAronet, PlayerAdvance, ps2dev.org, etc. This page presents a quick outline of some of the projects I have been working on during my spare time and am the most proud of. Note that my professional projects are of a different kind, check the link below. Scroll down or use the top menu bar to navigate. 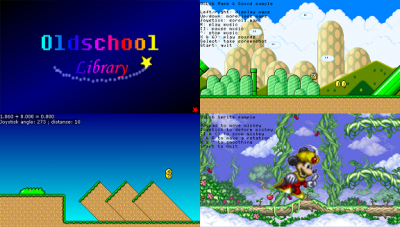 Experiment with parallax scrolling, palette rotation, mode 7 (perspective ala Super Nintendo), unique transparency effects and more! Developed a full Rendering Engine from scratch for OpenGL ES 2 (WebGL 1.0). The virtual graphics unit is almost entirely run on the GPU (via shaders), using extremely little CPU. Graphics are packed in an optimized format, allowing your game to be loaded instantly and never require network again. You can make an entire game within 100 kB, including the engine. Has a temporary but powerful toolset, allowing to convert and pack graphics and tilemaps using known software (Tiled, aseprite, etc.). Will be released in the future. Contact me for an early access (f_bron on Twitter). 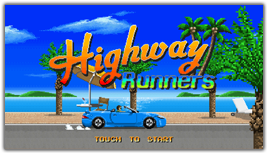 Highway Runners is a retro-inspired racing game for iOS and Android, aiming to provide players the same sense of freedom that Outrun did, while offering challenges adapted to this era's way of playing and platform specificities. It is my current project along with Steeven Flores. I'm basically doing the coding, some of the animations and UI design and we share the game design. We plan to release it by end of june on the AppStore, and more information will come (along with an official site and so on). Type: Full game to be released on the AppStore and Google Play. Self-made C++ engine (on top of OpenGL ES 2), C++/CLI tools on PC. Works on Windows/Mac too but not intended for release on these platforms. Features an advanced level editor and auto-updatable levels, graphics and sounds (without modifying the app on the iPhone). 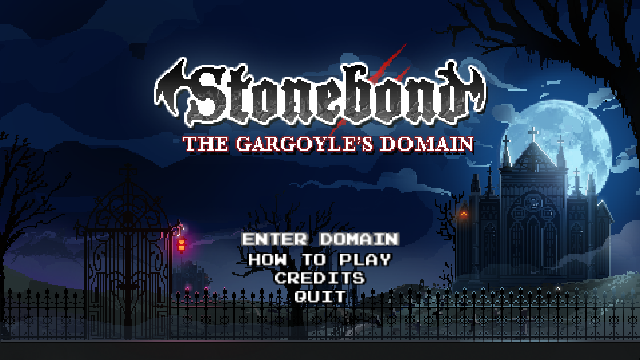 Stonebond is a 4-player couch gothic versus game made during the i3 game jam, which aims to gather many people (artists, developers, game designers, …), some of which worked in the gaming industry, in order to make an indie game with "AAA"-style development processes. The result of a few weeks of work is Stonebond. Role: Developer (architecture, engine, animation, helping people to use git and tools efficiently). Type: Big project with many contributors. Worked with game industry professionals. Aling to the past is a game made during the Lvlup Game Jam which occured in Fribourg in February 2015. 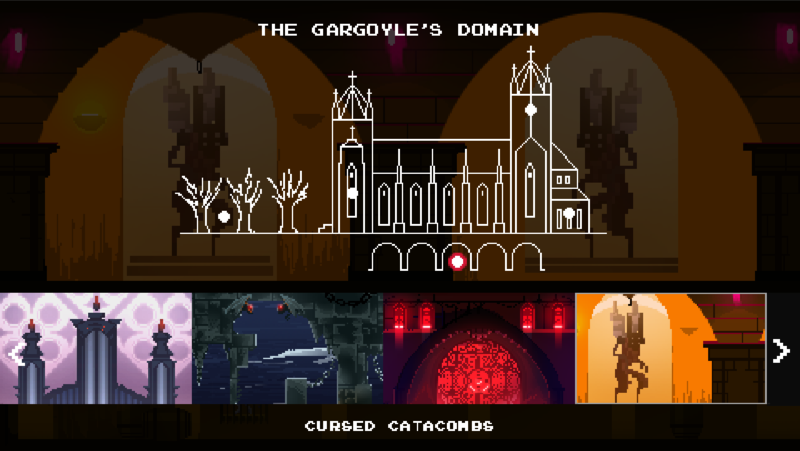 A demo is currently available on the site of the competition itself. Although you will need an Oculus Rift to enjoy it (was done with the DK2 back at the time), feel free to give it a try. Role: Engine Developer, Game Design & Ideas. 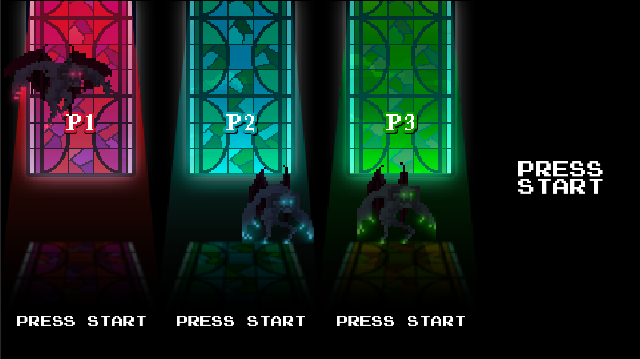 Type: Lvlup game Jam entry, ended up second in the professional category. Original game design ideas such as the camera following a rail for an immersive experience without the typical headache caused by the camera making unexpected movements such as in FPS. Professional-like graphics and project management. Another Game Jam entry from 2016, but which is still being developed. 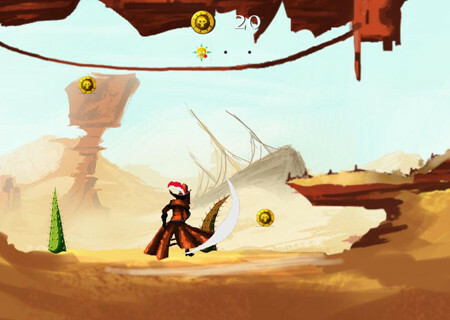 Made by a team of five Swiss people, some of which worked in the gaming industry, this game tells the story of two Cat-fu brothers who try to survive as long as possible against the hoard of ennemies who want to destroy there freshly-built chinese-styled bridge. Each cat has his own techniques and must choose wisely as to which kind of enemy to hit. Role: Programmer, setting up and helping people with collaborative tools, eating pizza and standing up all night. Type: Game Jam entry, to be released as a full game. Unity 3D, professional art workflow. 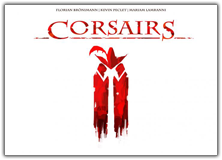 Corsairs is a platformer made by 3 people in the beginning of 2015. 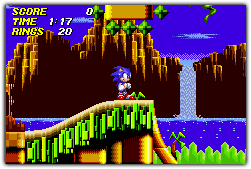 It counts the tales of Samuel Sharp in a platformer which plays quite similar to Aladdin on the Mega Drive. 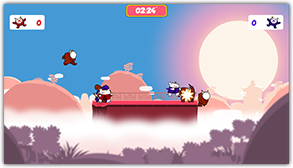 Jump, collect coins as a good pirate would, wall jump, ride slopes, jump even further to reach his beloved treasure. Type: Global Game Jam game, extended afterwards. Self-made C++ engine (on top of OpenGL 1.5). This application was realized with a friend for the company Yellowsteps, who wanted a modern way to showcase its products. 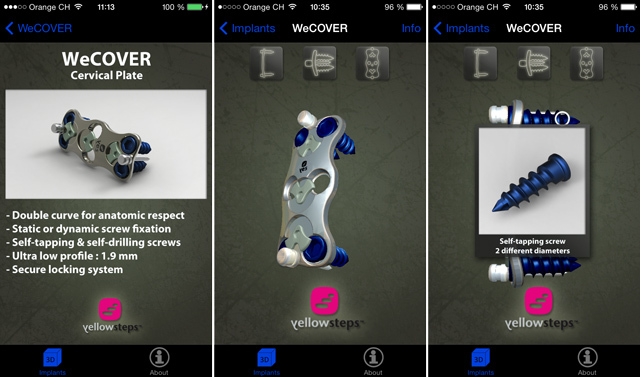 It is basically a 3D model viewer showing some of their orthopedic implants. On top of zooming/rotating the models with your fingers, icons on the top allow to select predefined views, which highlight interesting areas that you can click to obtain more information. iOS development, maintenance throughout OS releases. Use & customization of existing 3D engine and Blender. I love making tools and scripts to simplify tasks that I use everyday or customize my workstation environment to improve efficiency. Keyboard provider (2011): use your Mac keyboard to control your iOS Simulator. Useful for games, so you can use full input (check if a key is held, use special keys, etc.). 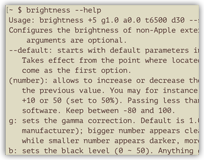 Brightness (2015): a tool for Mac OS X which can customize the display of your Apple device -- which tend to be too dark by default -- even when ALS (ambient light sensor) is turned on. You can change the temperature, gamma, black level and more for free. Also, it can control the backlight of your external (non-Apple) screen. Menora (2015): a simple C# tool that basically does the same thing as f.lux. It is more customizable though, uses extremely little CPU, and is open source. Autopowersave (2015): Automatically puts your Android tablet in "real" sleep when not used. Not of much use anymore since Android 6 as even in powersave mode the battery drains a lot. iMasterGear is a Master System emulator for iOS distributed on Cydia. It featured an innovative user interface for the time, both elegant and usable with the thumb, as well as finely tuned controls that allowed to play games much more comfortably. It also offered smooth performance and a pixel doubling filter, to provide the best possible experience. Port of Open Source software. Graphical design made by Steeven Flores. The OSLib is a C library that I started back in 2006 as we were reverse engineering the PSP hardware on ps2dev.org. It allowed beginners to use the power of the PSP to develop awesome 2D games, with a programming model similar to that of 16-bit consoles. It was used by several "homebrew" games of the time and has been forked by other developers. I made an equivalent for the Nintendo DS: µLibrary. Wrapping raw 3D graphics hardware, IPC and audio. Collaboration to promote the project with tutorials and docs, building a community (notably with an hosted forum). Got the second place at the NeoFlash Spring Compo 2007. 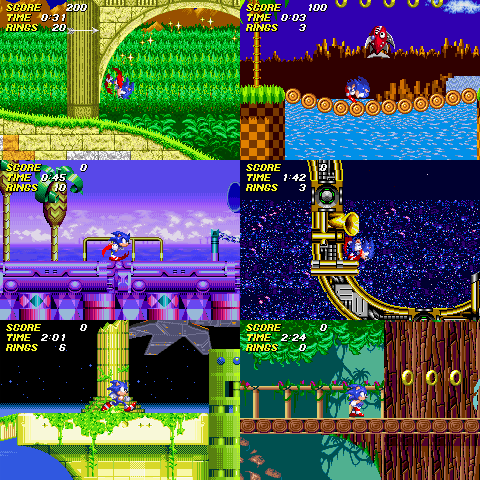 As a fan of Sonic -- especially the Mega Drive versions, I set on to create a copy of the game, writing it from scratch. It has taught me a lot about game programming, animation and physics, and also on the tool department. Development in C on limited hardware, trying to exceed the native capabilities. Recreated the complex physics and collision management of the original game. 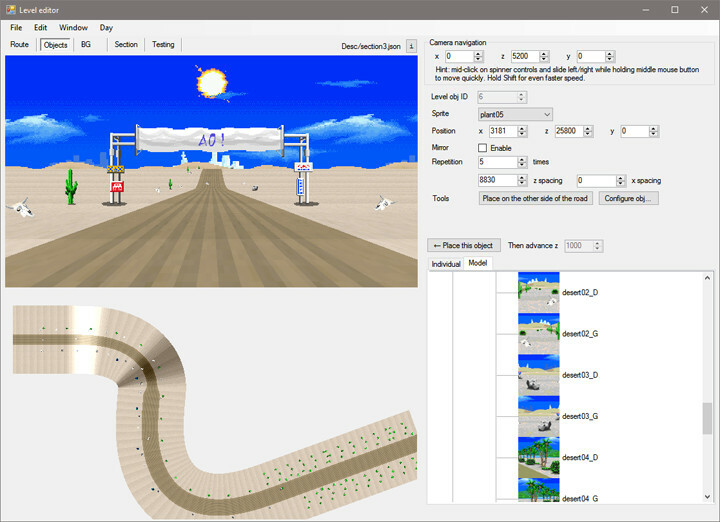 Extensible engine allowing friends to develop custom levels, effects and objects. As a community of coders for the Game Boy Advance was forming on PlayerAdvance, the need for a graphics converter became obvious. Thus, as I was starting development in Win32, I started to develop a tool to do this job. I later added a map editor, and designed a scripting language, which made it the main graphics tool for some projects of the time. Complex graphics conversion and color reduction algorithms fitting hardware requirements. Can fully be driven by script (language developed from scratch). Templating support for converted data. 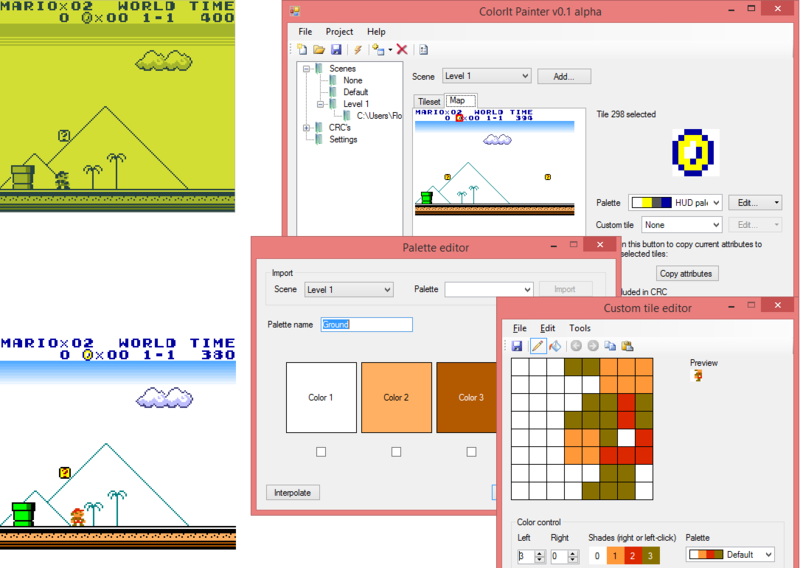 Heig-Boy is a Game Boy emulator with tools to fully colorize your favorite game on a scene basis. 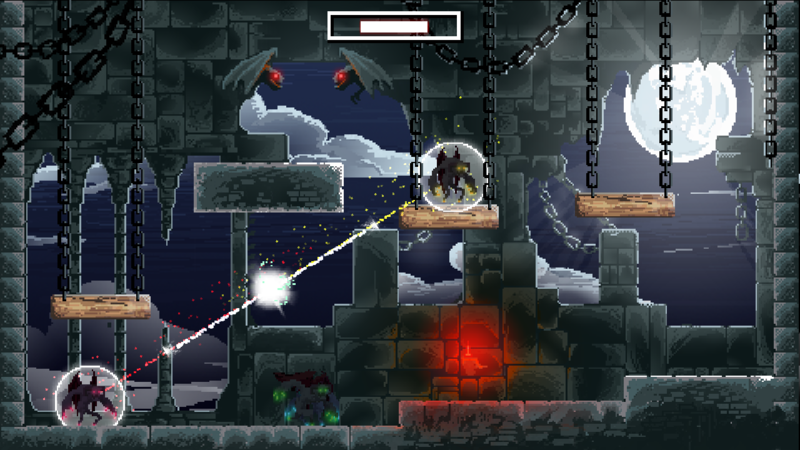 It usually takes only a few hours of work to colour a full game. 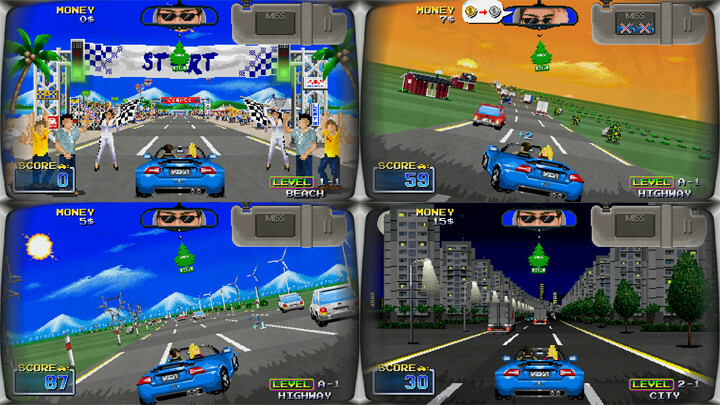 Multiplatform: PC and Sony PSP (with unreleased J2ME and NDS ports). Colorization tools made in C#, also running on Mono. Emulator and disassembly tools written from scratch. Good experience in debugging machine code, disassembly and reverse engineering. Got the third place at the NeoFlash Summer Compo 2006 (was named MMSPlus). Looks like it has even been ported to other platforms. During my technical school, I had the idea of using Game Boy Advance units to create a guided tour (such as in museums), and we did it with classmates for the Open Days of the school. It showed a scrolling map of the school with details on the projects presented in the various rooms as you highlighted them. 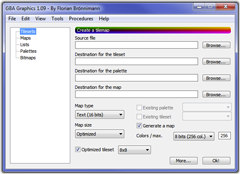 It featured RTF-style text view, sound playback and was provided with tools to create your map on Windows. 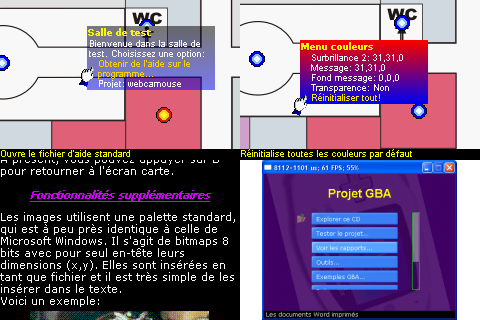 The document which accompanied the project disclosed many details about the GBA discovered with reverse engineering. Development in C on limited hardware. Specifications of the project scope and features. Collaboration to create tools for Windows. Development of tools: Map Editor, ADPCM audio encoder, virtual file system and presentation software for Windows. This game was actually built during my studies with classmates. It is a turn by turn multiplayer game, in which you need to use your artillery wisely to break the walls and find a way to beat your opponent. Crates will drop regularly, allowing to get additional ammunition if you shoot at them. It may look a bit rough at first glance, but that is because the focus was put on the technical challenge instead of the looks (and we are not graphists either ;D). Everything was made from scratch though, from the physics engine to the netcode. This has been a great opportunity to learn about higher level game concepts. Collaboration to create a server, client, art and other assets. Deterministic, Worms-like collision and physics engine with breakable walls. On PlayerAdvance.org, we had a tradition on Christmas: some members designed a challenge, which people had the whole 25th of December to complete. The winner was the one who succeeded in the smallest amount of time. It usually consisted of small games featuring all forum members. That year, I helped other members to create a game featuring a snowball, trying to find all forum members scattered across a large maze. 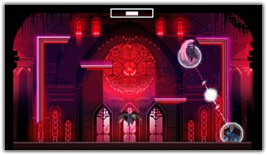 It featured a gameplay similar to Chip&apos;s Challenge, with keys and other elements blocking your path, for a total of one to two hours of gameplay. Collaboration to create a complex work with graphics, music, levels, etc. OpenGL, C++ development on Windows. Please check out the old site to find more projects.